Print content: text, Chinese characters, various languages (), pictures, trademarks, dates, water Numbers, batch Numbers, class Numbers, commodity Numbers. Ink color: red edible ink, environmentally friendly. 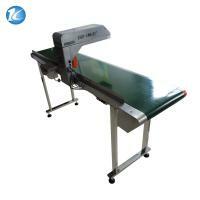 Applicable to: eggs, duck eggs, pineal eggs and other egg products, gift box printing code , etc. 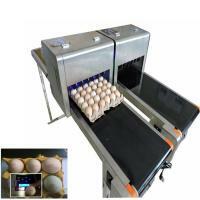 The disposable set can be replaced rapidly, containing 45 ml can spray print ink around 200000 eggs, according to a case of 360 eggs, cost is about 5 cents.A set of six cartridges, can spray print 1.2 million eggs. 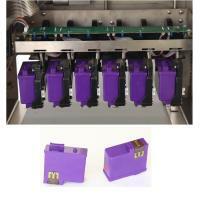 ink usage: ink cartridge maintenance free, free maintenance, directly with the replacement. 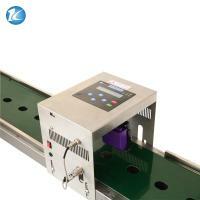 Personalized configuration 1-6 nozzle module or integration frame, it is more convenient to move. Print content text, Chinese characters, various languages (), pictures, trademarks, dates, water Numbers, batch Numbers, class Numbers, commodity Numbers. Ink color red edible ink, environmentally friendly. 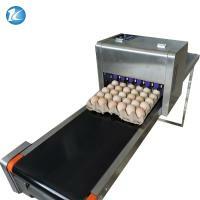 Applicable to eggs, duck eggs, pineal eggs and other egg products, gift box printing code , etc. Equipped with computer control dedicated shuttle conveyor, fast, efficient and accurate! Can choose food and ordinary ink, you can choose to print black, red, blue and other colors. 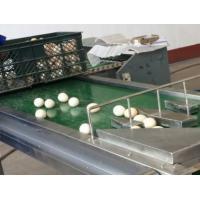 High-speed full-disk printing method, regardless of the arrangement of eggs can be automatically identified and directly marked on the egg factory date and security logo, green food logo, safety, environmental protection, health. Consumers can buy directly to find brand-name eggs. Improve their own image of the product, so that each egg has its own "identity card"! Xingtai Kelipu Technology Development Limited Company is an industrial enterprise，combined with technology study and development, production and sales. 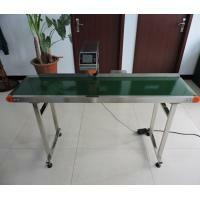 Since starting the business, it has been devoted to the research of precision ink jetty and printing technology, especially focused on the area of the surface of the egg inkjet printer. 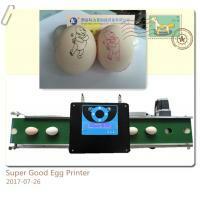 Now we produce many types of egg inkjet printer for the customers. The company is located in the National University Science and Technology Park of Xingtai Hi-tech Development Zone, Hebei province, China. The company is the earlier domestic enterprises which formulates and fills the records of inkjet printers'manufacturing standards.The products are inspected and certified by the Technical Supervision Bureau. Our products have been recognized and trusted by a majority of users, and can meet the growing economic and social needs. We warmly welcome business friends from all walks of life to establish friendly and cooperative business contacts and achieve a win-win goal. Our confidence comes from the real strength, and believe that technology creates brilliance. Kelipu,over the years, under the perfect products quality guarantee system, scientific and standardized management, advanced production technology, sincerely for the prestige, high quality products, won the trust of domestic and foreign merchants, and targeted the international market actively developing all kinds of special printing machine. The global source of major components ensures the performance of the products and the world synchronously, now maintains a new product listing every six months, a good development trend of doubling annual output. 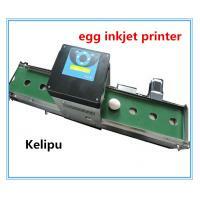 The Kelipu egg inkjet printer has been exported to many countries or regions, and has been well received by users. Kelipu sincerely hopes to establish a partnership with more customers at home and abroad. Welcome to visit Xingtai Kelipu Technology Development Limited company!